View-gazing and dining 223m up! The buffet style setup means you can taste as many dishes as you like and can always go back for seconds! Try some other activities at the Macau Tower: Afternoon Tea Set and the Dinner Buffet! 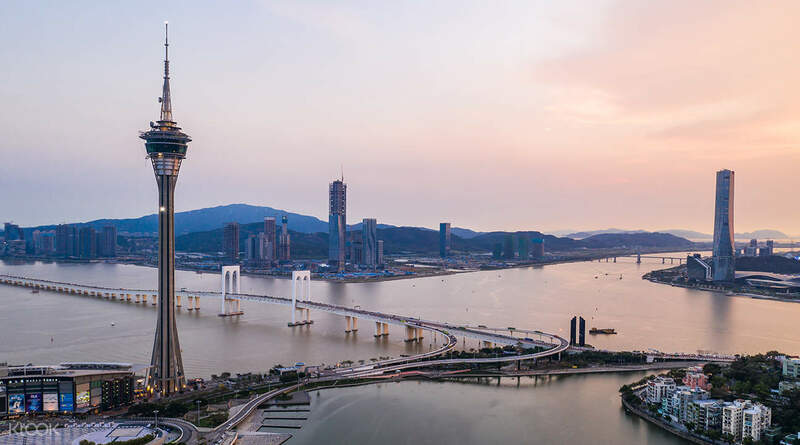 Enjoy sprawling views of the Pearl River Delta whilst indulging in an impressive international buffet spread with flavors from Macau, Portugal, China, India and beyond. 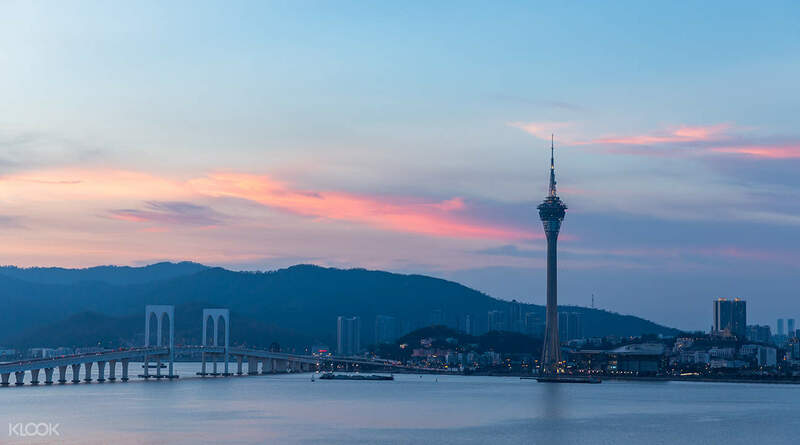 Ascend to the Macau Tower's upper limits in a high-speed glass-fronted elevator for the unforgettable vista that awaits and a hearty buffet that caters to all tastes at 360° Café, the tower's revolving restaurant. 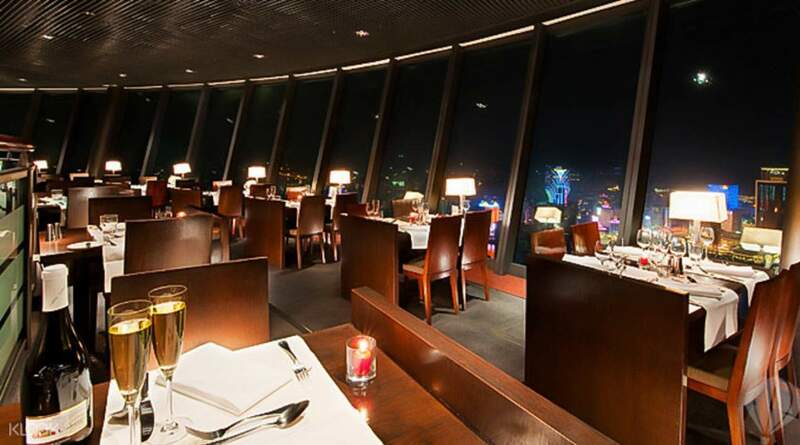 Dine at 223 meters above the city! very yummy food and nice view. free soft drinks including coke, cream soda, orange juice, variety of food including Chinese, western, Indian, dessert and fruits. waitress are helpful and nice. no extra charge. very yummy food and nice view. free soft drinks including coke, cream soda, orange juice, variety of food including Chinese, western, Indian, dessert and fruits. waitress are helpful and nice. no extra charge. Time complete is very fast and waitress try to chasing all the guess to finish the buffet. But overall is good, during lunch we see somebody do a bungy jump. Time complete is very fast and waitress try to chasing all the guess to finish the buffet. But overall is good, during lunch we see somebody do a bungy jump. Had the best experience. A must place to visit as the tower gives you the best 360 degrees view all over Macau and the buffet was also great. Best deal. Thanks Klook! Had the best experience. A must place to visit as the tower gives you the best 360 degrees view all over Macau and the buffet was also great. Best deal. Thanks Klook! No need to fall in line.. Buffet hall is on the 60th floor of Macau Tower. Food is great with so many variation.. Creme Brulee is the BOMB!!! really delicious.. YUM! YUM! 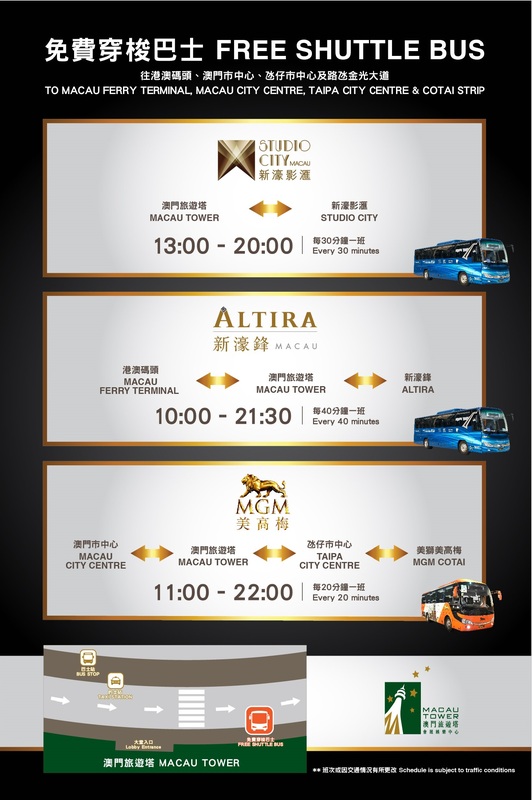 also with free entrance at Observation Deck of Macau Tower. No need to fall in line.. Buffet hall is on the 60th floor of Macau Tower. Food is great with so many variation.. Creme Brulee is the BOMB!!! really delicious.. YUM! YUM! also with free entrance at Observation Deck of Macau Tower. Good food and very nice view. Thanks klook! Avoid taking so many photos when you are in the restaurant so you could try all the dishes. 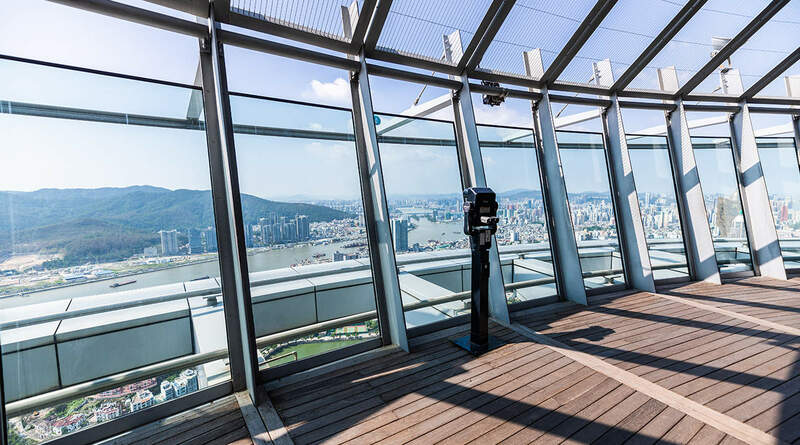 Plus you could enjoy the view no time limit in the observation deck. So much worth the price. Will definitely try this again. Good food and very nice view. Thanks klook! Avoid taking so many photos when you are in the restaurant so you could try all the dishes. Plus you could enjoy the view no time limit in the observation deck. So much worth the price. Will definitely try this again. wonderful adventure experience at the open & observation deck. a lot of food choices at the buffet area. the rotating restaurant is fascinating. wonderful adventure experience at the open & observation deck. a lot of food choices at the buffet area. the rotating restaurant is fascinating. Worth the price. This activity completed our trip to Macau. I will definitely avail this again in the future. Worth the price. This activity completed our trip to Macau. I will definitely avail this again in the future. macao sky is so amazing ! 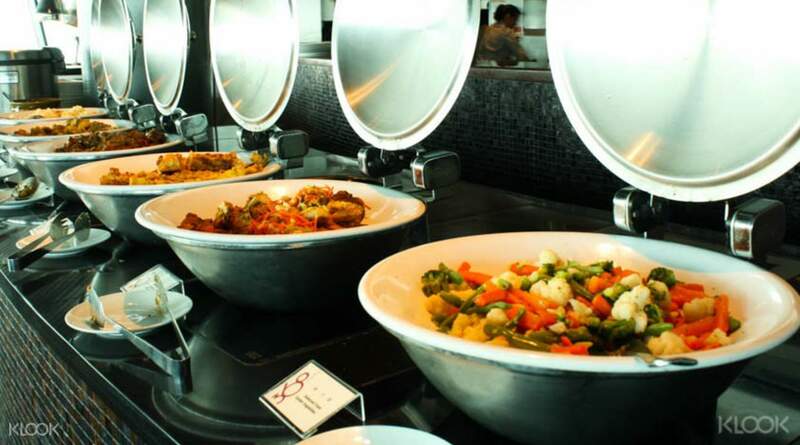 we are really enjoy the lunch buffet under the 360' cafe. the food are delicious. beside that, we can visit to the level 58 and level 61 to see the sky activities. macao sky is so amazing ! we are really enjoy the lunch buffet under the 360' cafe. the food are delicious. beside that, we can visit to the level 58 and level 61 to see the sky activities.